Sometimes my body just craves starch, and that’s usually after a few days of intense workouts. 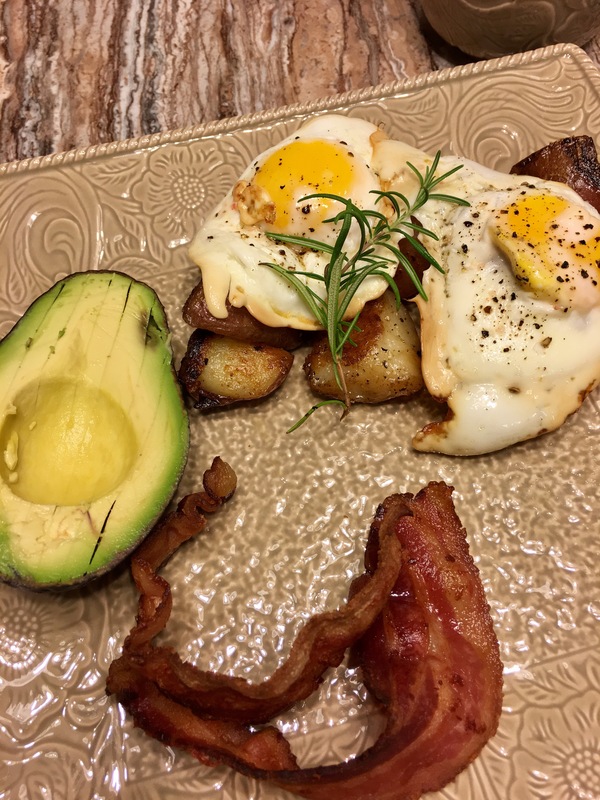 These potatoes are also Whole 30 compliant, but like the book says, I would errrr on the side of consuming these everyday for every meal! A plus side, they are very simple and fast to make! Last night, It was a side to my delicious grilled steak and Brussels Sprouts. This morning, after my “Booty Blaster” of a workout, I re-cooked the leftovers and paired it with my fried eggs and bacon! It did not disappoint! P.s. Sorry for the terrible picture. I just couldn’t even wait any longer for them to be in my belly and it was 7:30 already! 1 Sprig of Fresh Rosemary or 2 teaspoons. Heat a large skillet, that has a lid, on medium high heat. Add the olive oil and allow it to heat for about 2 minutes. 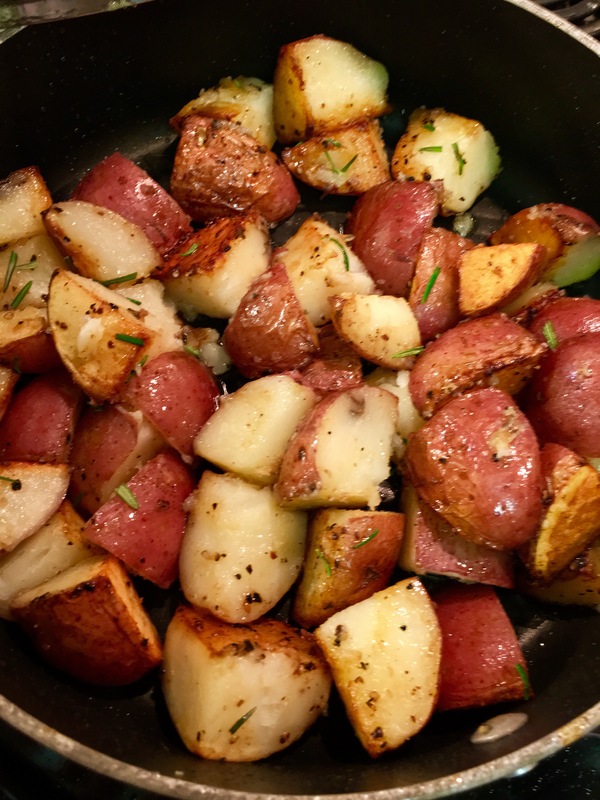 Once the olive oil is heated, add the quartered potatoes to the skillet and lower to medium. Season with 1 teaspoon of the sea salt and all of the black pepper. Cover and cook for about 15-17 minutes or until the potatoes are soft in the center. Stir occasionally allowing different sides of the potatoes to cook. Once they are soft, uncover and raise the heat to a medium-high. Add the rest of the sea salt, the rosemary, and stir frequently for about 5 minutes or until they get nice and toasty on the sides! How toasted they get is really a preference. So if you like them extra crispy then keep them in there a little longer!